Mother Earth Artists presents the new 13-tracks full length album "The Lost Memorial of the 1900s…" with Armand Gutheim & The Feel Harmonic Rockestra released on December 15, 2018. Join us on this musical trip through time and history with all its reminders and milestones still relevant for us all today. The album is available for streaming and download here and on all major digital music services. Mother Earth Artists also presents the new music video "Keep on Making Peace" which accompany "The Lost Memorial of the 1900s...". The song is also the closing track of the album and includes the album's summary message and future hope for complete peace and freedom. You're most welcome to also visit www.motherearthartist.com and send us an e-mail to info@motherearthartists.com. Please, spread this video in your own network and don't forget to click on every like- and follow-button you encounter if you like it. Thank you so much! Here comes a Promotion video from Mother Earth Artists before the release on December 15th 2018 of the new full length album “The Lost Memorial of the 1900s…” with Armand Gutheim & The Feel Harmonic Rockestra. 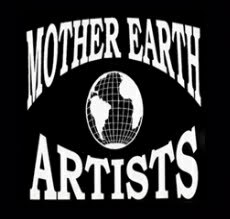 You're most welcome to send us an e-mail to info@motherearthartists.com if you want. Please, spread this video in your own network and don't forget to click on every like- and follow-button you encounter if you like it. Thank you so much! Mother Earth Artists presents the sixth 2-tracks single "The Lost Memorial of the 1900s... Part 6" consisting of: "Follow that Flying Dove"  / "9/11"  with Armand Gutheim & The Feel Harmonic Rockestra. It is preceding the release of the forthcoming full length album "The Lost Memorial of the 1900s..." on December 15, 2018. Join us on this musical trip through time and history with all its reminders and milestones still relevant for us all today. This single takes us back to 1989, which is undoubtedly a unique and different year throughout the 1900s, as it probably was the first and only time in world history such a radical political revolution took place, with the fall of the Berlin Wall, without being the result of any form of armed conflict, and to 2001, with the date of 9/11 which most likely will be remembered for all future and associated with a new form of malicious and large-scale terrorism on completely innocent people. One might also say, that this New York event marked the definite end of the 1900s. Mother Earth Artists also presents the new music video "9/11"  which accompany this new single "The Lost Memorial of the 1900s... Part 6".